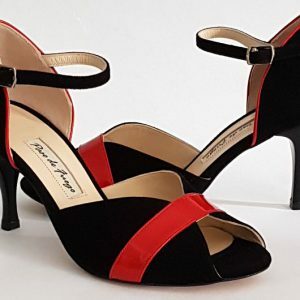 Paso de Fuego Dance Shoes Black suede Red front band red heel piping, comfortable foot padding, brushed leather sole. 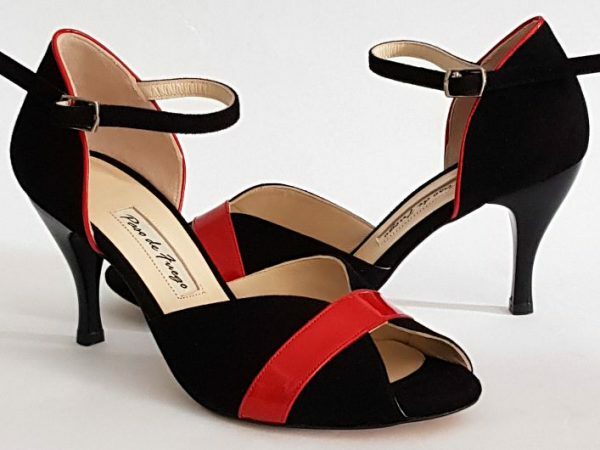 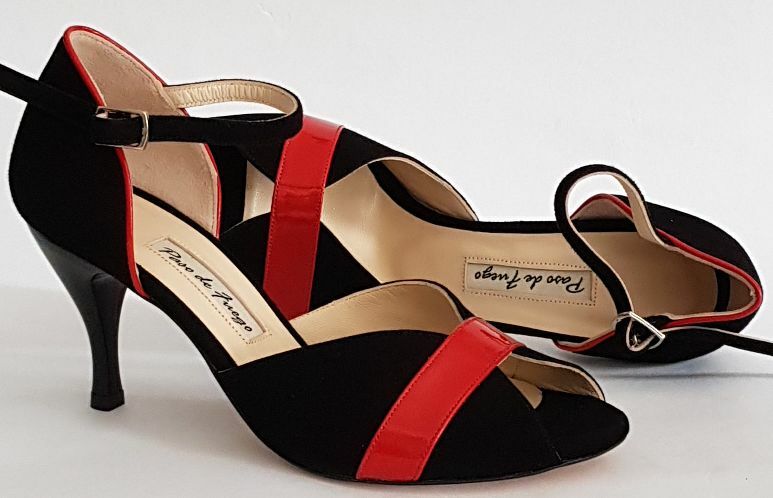 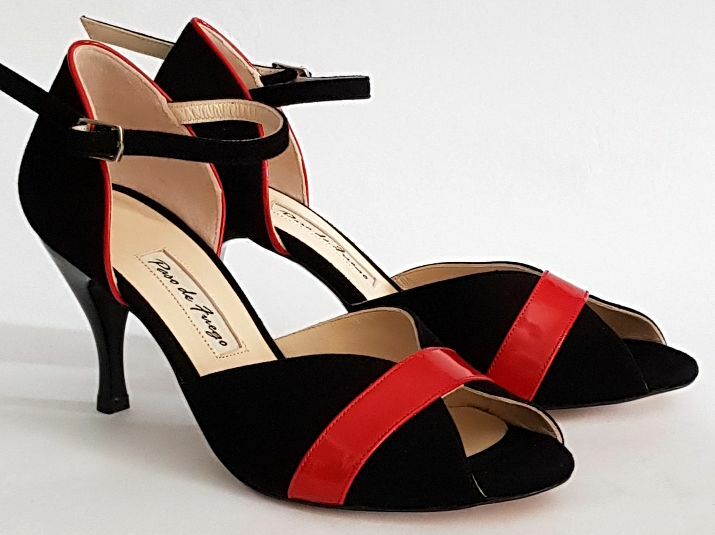 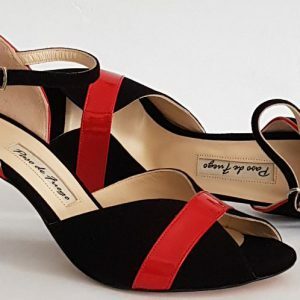 Paso de Fuego, Dance Shoes Black suede Red front band red heel piping, comfortable foot padding and brushed leather sole. 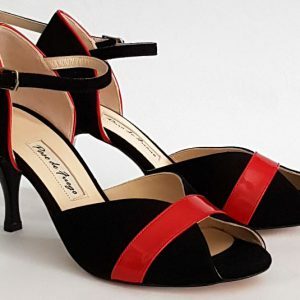 Suitable for Tango, Salsa, Bachata, Kizoma or Standard Dancing. Fits Medium Feet.